Steve Carell plays Cal Weaver, a middle-aged man who learns that his wife (Julianne Moore), wants a divorce after fifteen years of marriage. Shocked and heart-broken, Carl finds himself alone but eager to meet his next match. He starts spending his nights at a local bar wallowing in self-pity, until he meets the self-confessed womaniser, Jacob (Ryan Gosling), who offers to teach Carl how to attract women. What follows, is a crazy chain of events, which creates all kinds of problems for both Carl and his family. As a rom-com, Crazy, Stupid, Love is one of the most enjoyable and refreshing because it actually tries to be meaningful, rather than mindless. It still has cliches but it puts them to good use in a way that’s self-aware and very funny! It gives little winks to the audience and plays on our expectations. I thought it was an interesting take on an overdone, formulaic genre. Unlike most romantic comedies, Crazy, Stupid, Love begins fairly slowly and down-beat, reflecting the bad news Carl has received. The fun and laughs start not only when Jacob takes Carl under his wing, educating him on how to seduce women at bars, but when Jacob gets involved with a law student named Hanna (Emma Stone). When all the gears are set in motion, Crazy, Stupid, Love is a wild and stylish comedy, featuring a phenomenal cast. The latter half of the film is a lot better than the first and once you get past the dreary scenes of Carl drowning his sorrows, the film is a really fun watch. By the end, it certainly lives up to its title and every cast member in the assemble gets their moment in the spotlight. There is one scene in particular which will have you in fits of laughter, if you can understand that the film is acutely aware of its ridiculousness. Crazy, Stupid, Love is a good one to watch with the family. This wouldn’t interest or be appropriate for very young children, but it does provide a great level of warmth and feel-good factor. As well as the romantic aspect, the film is very focused on family relationships, so it’s easy to care for these characters. Carl’s son, Robbie (Jonah Bobo), is a funny character and has a larger role to play in the film than I expected. Also, there is so much chemistry within the whole cast, especially between Gosling and Stone. It’s one of those films where the cast look like they had such a great time making it. Yeah, it’s silly, a little contrived, but it’s so god damned entertaining! There’s a lot of fun and comedy, that I’d even say those big haters of romcoms should give this film a go. 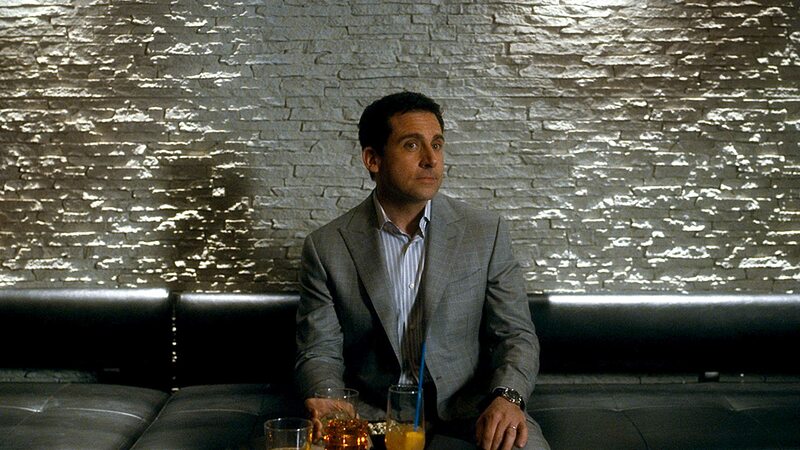 Crazy, Stupid, Love is far better than any American romantic comedy in the past decade. One of my favourite rom coms man. That golf scene gets me every time.